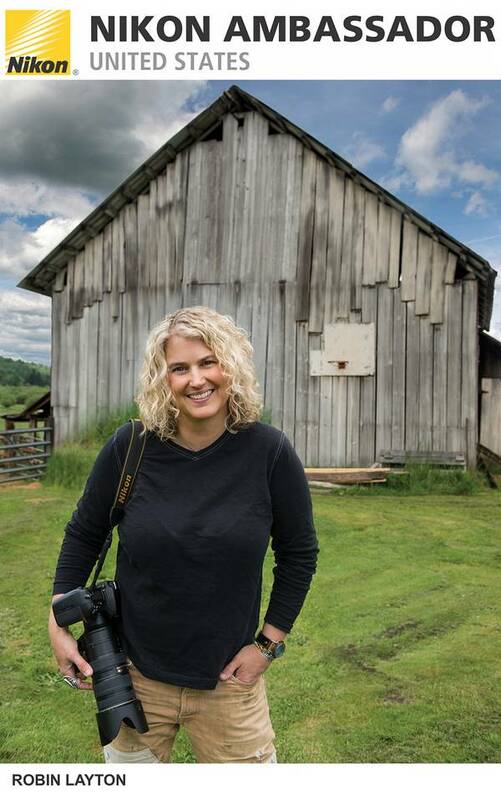 During her 25 years as a photojournalist, renowned photographer Robin Layton has produced countless notable photographs and earned a place among the world’s top photographers. By age 24, she was honored by LIFE magazine as one of the eight most talented photographers in America. In 1991, her image of a young departing soldier, embracing his daughter on the USS John F. Kennedy, was used globally for ads including AT&T and the USO and was on the cover of LIFE Magazine’s The Year in Pictures issue. Her photo story on runaway teens in downtown Seattle was nominated for a Pulitzer Prize. Sports enthusiasts will remember her iconic photograph of Ken Griffey Jr. from the 1995 American League playoffs (“The Smile at the Bottom of the Pile”). Robin has been a *Nikon Ambassador since 2013. After an award-winning career at five newspapers, including staff positions with the Virginian-Pilot and the Seattle Post-Intelligencer, Robin embarked on a freelance career that has taken her on assignments around the world. Along the way, she has photographed everyone from prom queens to actual kings, street people to presidents; personalities from Jennifer Aniston to Oprah Winfrey. Robin now creates commissioned artwork for commercial and residential spaces. She has also expanded the boundaries of traditional photography in many ways; combining her images with vintage found objects to create critically acclaimed and highly sought art pieces, video walls and video art combined with found objects, wall coverings and recently has collaborated with Driscoll Robins to create high end custom made rugs, inspired from her abstract images. What pictures do best is capture a moment in time. Robin’s work illuminates the life within that moment. She compels you to take a second look, a new view of the world around us.